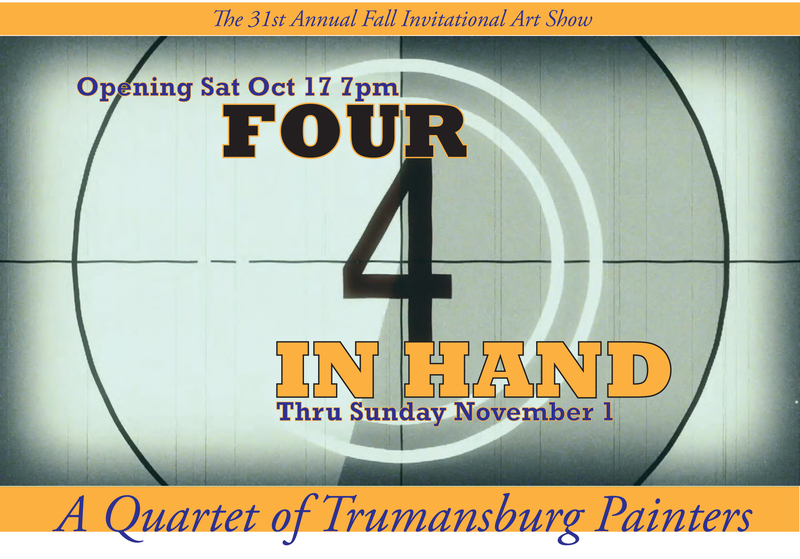 We are pleased to announce TCFA’s 31st Annual Fall Invitational Art Show, this year Four in Hand: A Quartet of Trumansburg Painters. The featured artists are Joy Adams, Kathy Armstrong, Madeleine Bialke and Laura Butterfield, four painters with strong connections to Trumansburg, each at different points in her career but actively adding to her existing body of work, each with very distinctive styles in media ranging from pencil to watercolor, from acrylics to oils. The opening reception for the show is at 7pm on Saturday, October 17, and the show will be on view thru Sunday, November 1 (see open hours below). The reception will be enhanced by the piano stylings of Ed Clute, at the Bösendorfer grand. Ed is well known for his outstanding stride playing and his interpretations of music from the Great American Songbook. The show enjoyed quite a good review from Ithaca Times art critic, Arthur Whitman. Read it here.